By Monique Lankhaar. 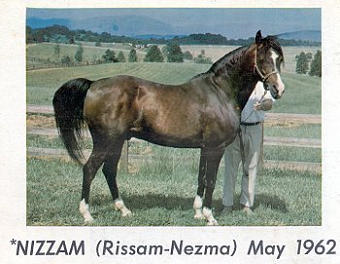 In 1948 Dr. Houtappel imported the stallions Nizzam (Rissam x Nezma) who needs no introduction to American Crabbet breeders, and the The Chief (Riffal x Astrella, a full brother to Oran). 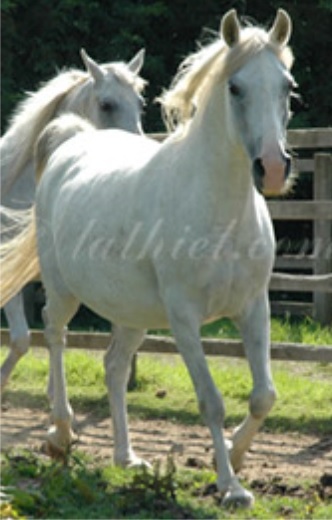 He also imported the mares Sulka (Naseem x Nurschida), Tehoura (Radi x Niseyra) and Ziada (Fayal x Raxina). Nizzam and The Chief were both registered as bay, the mares Tehoura and Sulka were chestnuts and Ziada was a grey. Dr. Houtappel did not object against Skowronek, most of the horses he imported carried Skowronek’s blood in one or more lines. 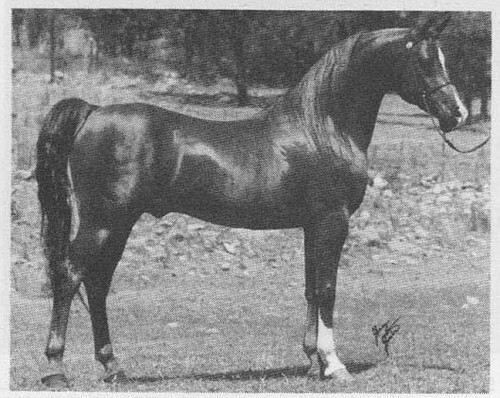 They were all used on Dr. Houtappel’s Rodania Stud for breeding.